"As always our experience at Clearbrook Animal Hospital was outstanding. 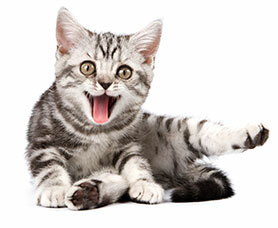 Dr.V.J is amazing with his compassion towards the pet and also the owner, the staff are absolutely awesome. I would recommend this clinic to anyone that loves and wants the best care for their pet. Dr. V.J is so very knowledgable and always goes the second mile to make you feel at ease." "When I called they got us in in half an hour to see max. We were immediately seen by the nurse and doctor when we arrived. Max was very well cared for with empathy. Such a kind and friendly efficient staff." "I have brought several animals here and they have always been treated kindly and effectively. They are wonderful people to work with and don't try to push anything on you if you aren't comfortable. They are also reasonably priced. I would definitely recommend and do always recommend people to visit clearbrook animal hospital whenever they need a quality vet." "Very helpful and friendly staff. Took good care of my pup whom was in for early neutering, was sent home with more than enough pain medication. I appreciated the call back the next day." "Very friendly staff. very caring of my kitty. took very good care of her." "You are the best in BC"
"Was really good. Very friendly staff." "Shots went as planned, except that Rev Bem is having a reaction to the shots. It started as soon as he had the shots and I pointed it out to the Vet. He was listless all night, walked in a zig zag and did not bark (unlike him). His ears are back and tail is down. This morning he is a little better and I expect him to make a full recovery."